Celebration is a unique environment that is cherished by its visitors and citizens. The busy and bustling downtown area is complete with movie theater, fine restaurants, boutique shopping, coffee shop, diner, bookstores, and barbershop. The Celebration Hotel gives business travelers and tourists alike an elegant gateway to experience the Celebration lifestyle. For residents, the town offers many opportunities for employment, a short commute to employment, as well as a comfortable lifestyle for families and retirees. 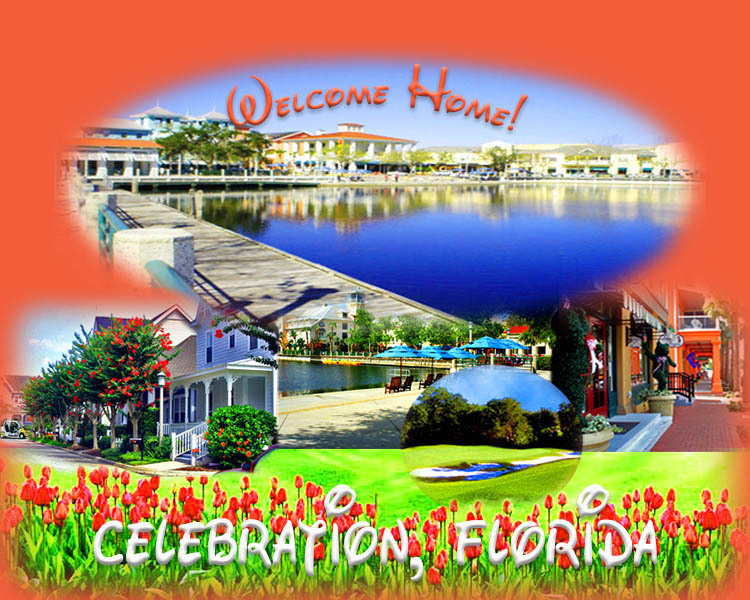 For a Florida town, Celebration is unique in that it has nearby amenities such as Walt Disney World Resorts and the prosperous city of Orlando. Without even leaving the town of Celebration, one can get most of their errands done on a daily basis. Most of the medical services, physical services, and entertainment offerings are available right in the same town that one resides. Many Celebration homes are within walking distance to downtown offering the opportunity to stroll down to one of the fine restaurants and enjoy dinner or take in a show, and then enjoy a moonlit walk home.